This post is sponsored by Capri Sun. For our sponsored post policy, click here. Spring is the time for picnics and outdoor play and gardening and walking and bubbles and sidewalk chalk and, really, ALL the things you can’t do when you’re cooped up for winter. And I don’t know about you, but after a chilly and very rainy start to the season, my family and I are especially thrilled with warmer temps and sunshine to play in. It’s been glorious. But, I’ve also learned a few things this spring that have made my life so, so, SO much easier. And today I’m sharing five of them! 1. Plan your chores around the weather. There’s always laundry and dishes to do. But why do the indoor stuff when it’s beautiful out? Go a little lax on your to-do list when the weather is spring-like and instead trade indoor chores for outdoor ones. Kids can think that pulling weeds or picking up sticks is actually fun. Do it together, make it a game — and have a beautiful time while you’re beautifying your outdoor space. Don’t worry; the basement will still be there for you to organize when it’s rainy out. 2. Create a special play bag. 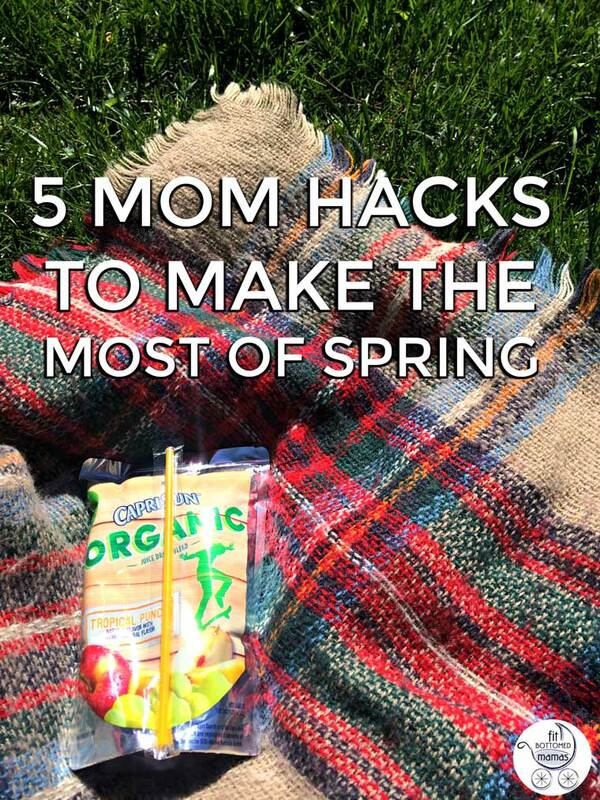 Pack a special bag full of mom essentials for spring. Put it in your car and bust it out at the park or in the backyard for some special springtime fun. 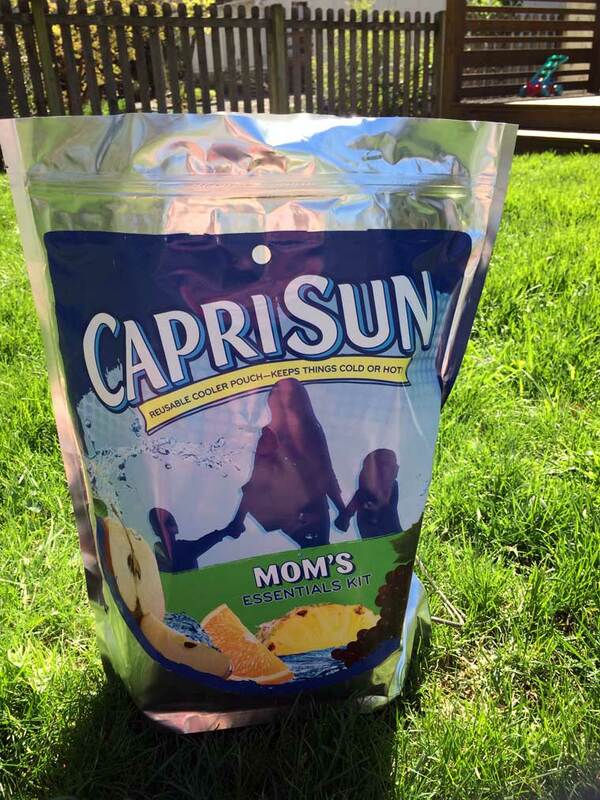 I made mine with this Capri Sun reusable cooler pouch. My daughter Gwen knows that this bag is always full of special awesome stuff, so whenever she sees it, her eyes light up. Fill it full of fun outdoor toys like bubbles, balls and sidewalk chalk, along with the basics like sunscreen, hats, sunglasses, healthy snacks, bug spray, your first aid kit (just in case! 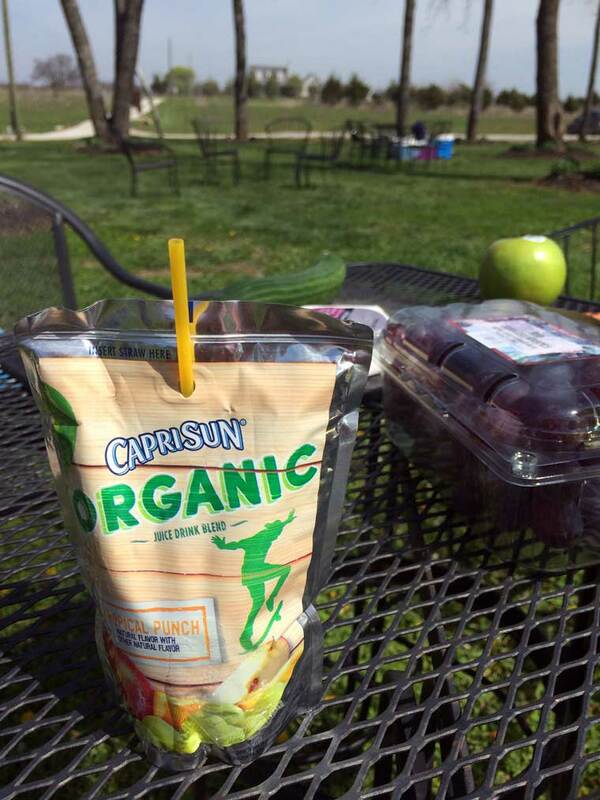 ), diaper essentials if your kiddos aren’t potty trained and Capri Sun Organic, of course! 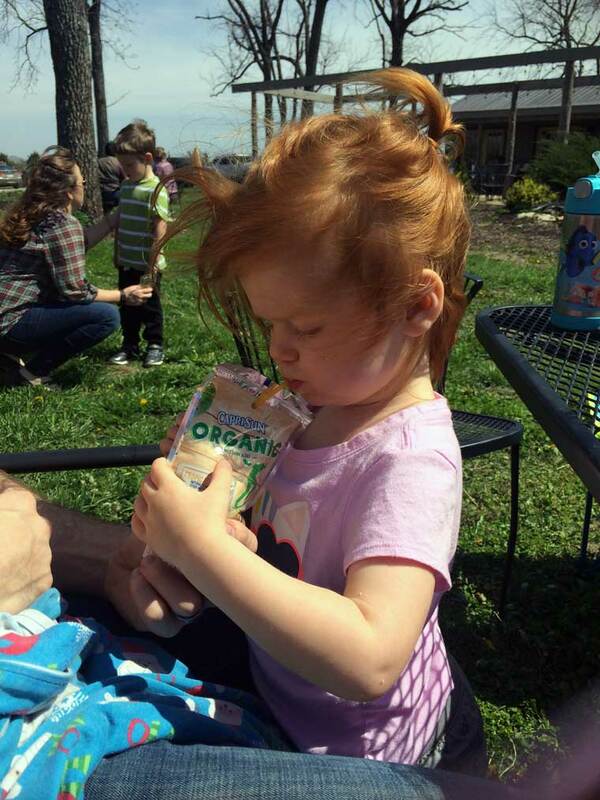 A certified USDA organic fruit drink blend, it has no artificial colors, flavors or preservatives, and each pouch provides one cup of fruit*. 3. Dress for outdoor play. Sure, white pants and dresses are adorable, but kids are kids. And kids get dirty. And fall down. (Or jump in muddy puddles.) So, in the morning, dress them in clothes that are comfortable, breathable and don’t stain, rip or tear easily. Believe me, it’s more fun for all (especially when you go to do laundry). 4. Mix things up. Why not make a spring bucket list of all the new things you want to do as a family? It doesn’t have to be elaborate — maybe it’s visiting a new exhibit at the zoo, playing tennis, hitting the farmers’ market, going to a baseball game or walking a 5k together. It can even be as simple as picking out some new snacks to try or mixing things up at lunch with a new flavor of Capri Sun Organic. 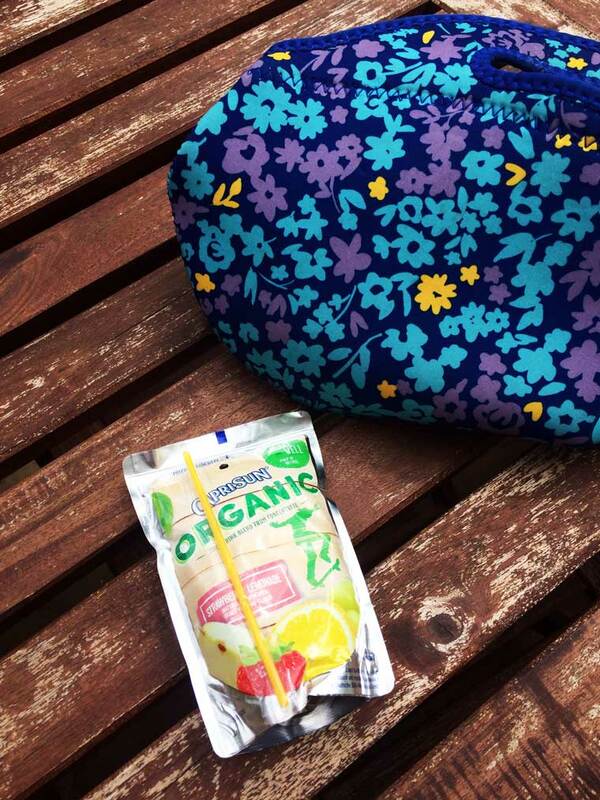 One that we’re loving right now is the new Capri Sun Organic flavor Strawberry Lemonade! We love the other flavors of Apple, Fruit Punch, Grape and Tropical Punch, but there’s just something so spring about Strawberry Lemonade, right?! 5. Eat outside. Whether you do a whole outdoor picnic or simply decide to have lunch out on your front porch, eating outside just feels special and fun, doesn’t it? Plus, no crumbs and fewer messes to clean up! *Each pouch provides a half cup fruit juice which is one cup of fruit, according to the US Dietary Guidelines.